Great breakfast and wonderful hosts who are happy to share their knowledge (and it is vast) of Rotorua and the surrounding areas. 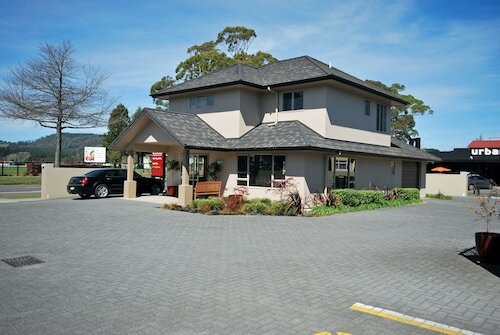 The Apollo is located in a very good area in Rotorua, easy access on to the main highways which made traveling to and from very easy. 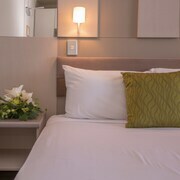 The studio apartment in Rotorua was 36m2 with a cooktop, dishwasher, microwave and large bathroom with laundry facilities. 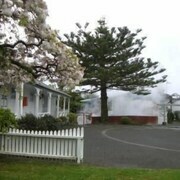 Would highly recommend to stay as it's also well priced cheaper and way better than most accomditions around Rotorua. 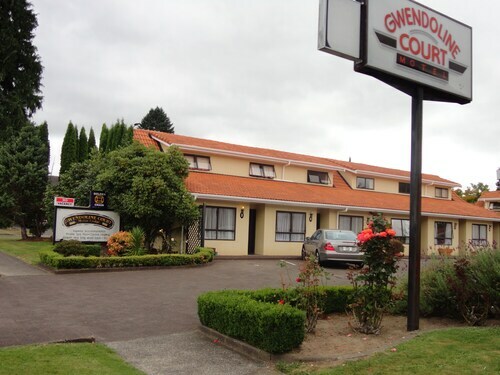 This hotel was located in a relatively quiet area whilst still maintaining the essential pleasures of Rotorua. Everything was great and easy. Breakfast was fresh and lots of variety. Kids loved the spa bath and toy corner. The power and beauty of nature is never far from the surface in Rotorua. This bustling town on New Zealand’s North Island sits on the shoes of 17 lakes that are collectively known as the Lakes of Rotorua. The ground is alive in Rotorua, filled with geothermal activity that makes itself known through bubbling mud pools, steaming hot springs, and extraordinary geysers that just beg for your attention. The town itself has a growing cosmopolitan centre that offers delights for craft beer aficionados and even the most demanding foodie. In the summer months, Rotorua’s 17 lakes offer a wide variety of activity options. Take a swim in the cool waters, or try waterskiing across the water’s glassy surface. Several of the lakes in the region are stocked with trout for some excellent fishing expeditions. The nearby Kaituna River offers Class 5 rapids for those brave enough to try whitewater kayaking or rafting. Rotorua is also a popular destination for mountain bikers. The nearby Whakarewarewa Forest contains over 100 km of challenging mountain bike trails that will rattle the teeth of even the most experienced biker. 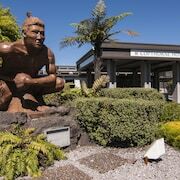 Visitors looking for a more relaxed trip can enjoy Rotorua’s Botanical Gardens or spend a day at the Rotorua Museum of Art and History. For a little more adventure, head over to Kuirau where you can soak your feet into gooey, bubbling mud baths. Your nights will be just as exciting as your days. Rotorua is blossoming with artisanal restaurants, craft breweries, and classy bars. Leave your luxury accommodation in Rotorua and walk down “Eat Street” to find many excellent restaurants, from Indian to Italian, to indulge your palate. 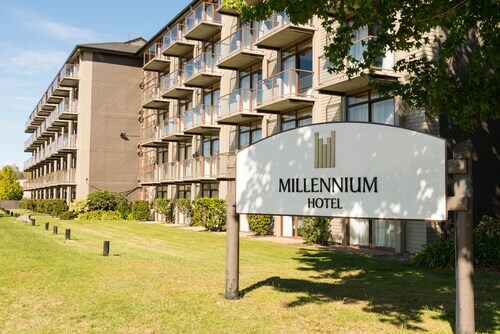 Whether you plan to absolutely spoil yourself during your time in Rotorua or need to budget your money carefully, you’ll find plenty options. 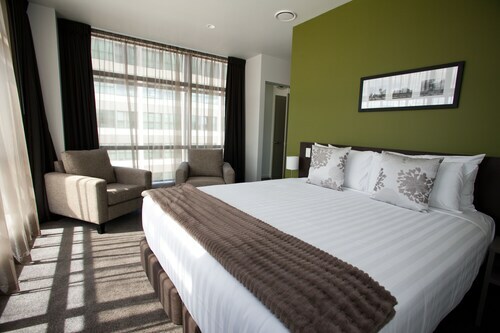 Rotorua hotels range from budget-friendly to utter luxury. You can also find many middle-of-the road options. 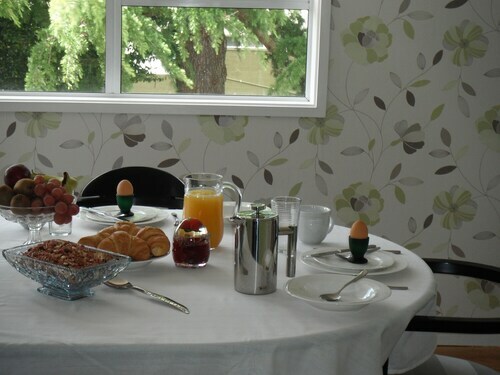 Couples may prefer to seek out the more romantic option of a bed and breakfast, while family-friendly accommodation in Rotorua will keep everyone smiling. 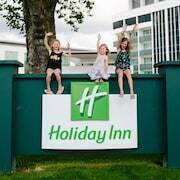 Backpacker options and holiday parks can also help visitors save more. 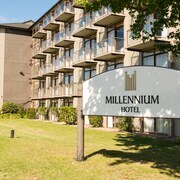 Rotorua is served by the small Rotorua Regional Airport, which receives direct flights from Auckland, Wellington, and Christchurch. 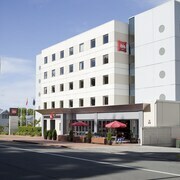 The airport is roughly 9 km from city centre, an easy drive in a Rotorua car rental. Kiwis coming in from nearby towns can use State Highways 5, 30, and 30A, which all lead to Rotorua, along with the Thermal Explorer Highway. Rotorua is approximately 62 km from Tauranga, 59 km from Taupo, and 107 km from Hamilton. No one wants to overpay for a hotel room or a rental car, especially when they already plan to spend a lot of money on holiday. Don’t overpay! 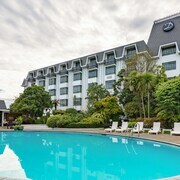 Visit Expedia.co.nz to compare accommodation prices, rental car prices, and even airfare to Rotorua. You’ll be able to grab the best deals, and that means more money to spend on your trip. 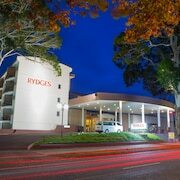 Try Expedia.co.nz today. 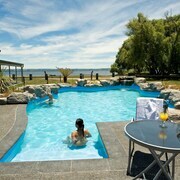 Explore Rotorua with Expedia.co.nz’s Travel Guides to find the best flights, cars, holiday packages and more!